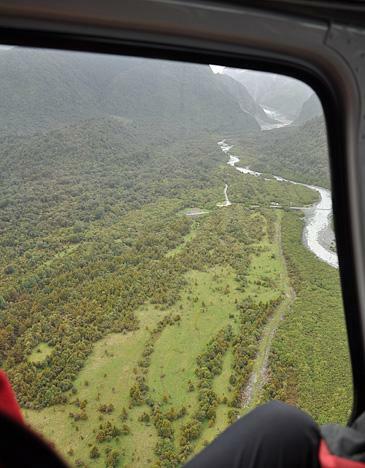 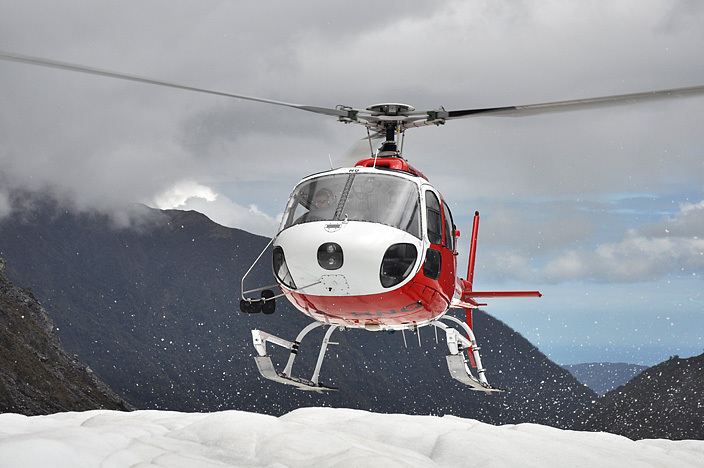 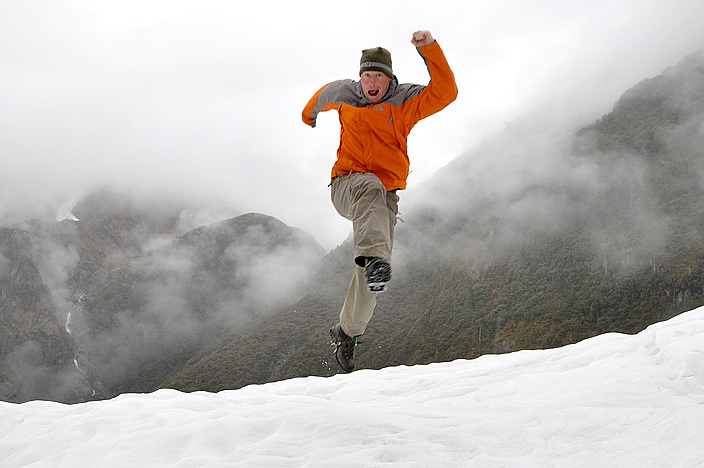 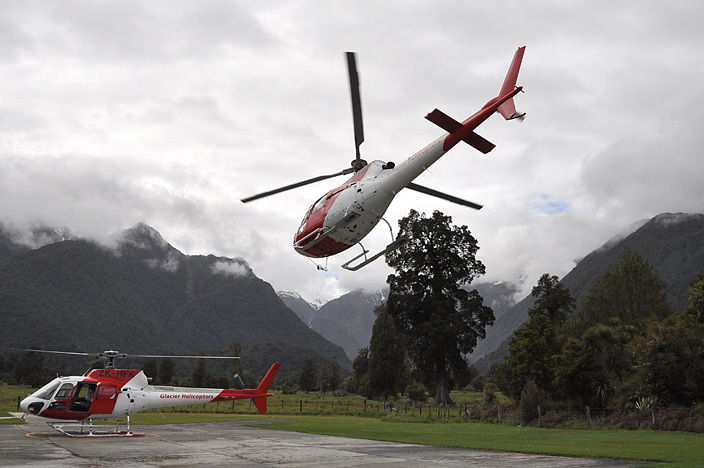 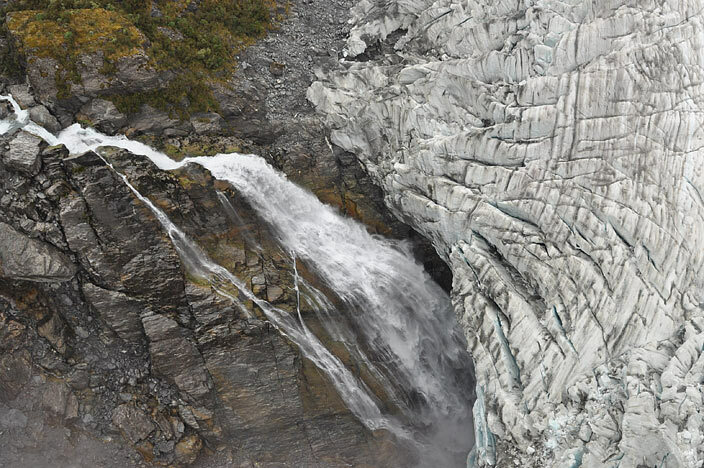 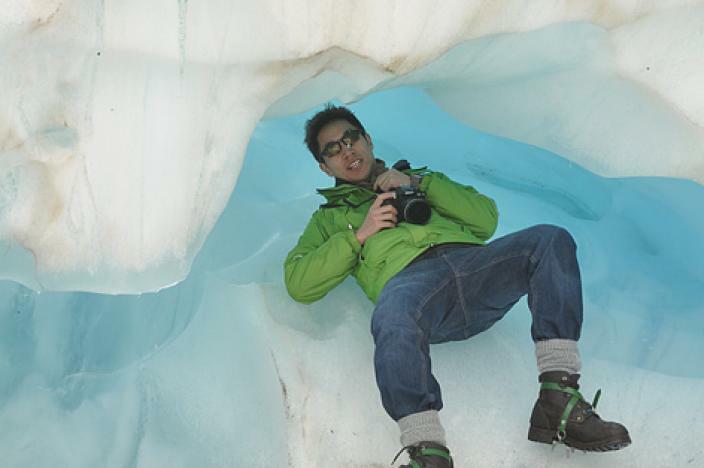 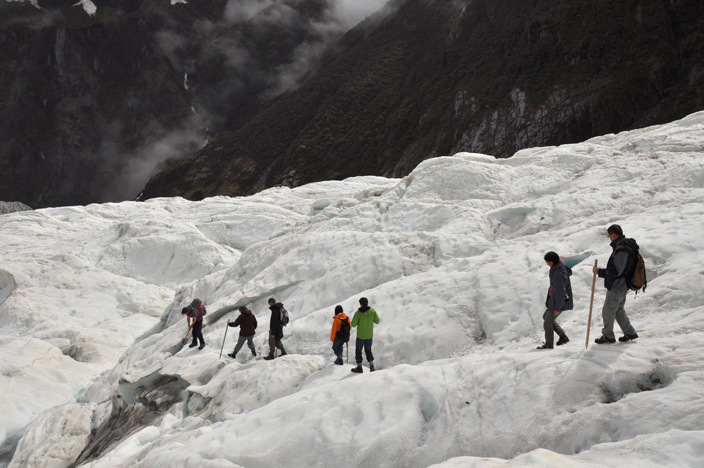 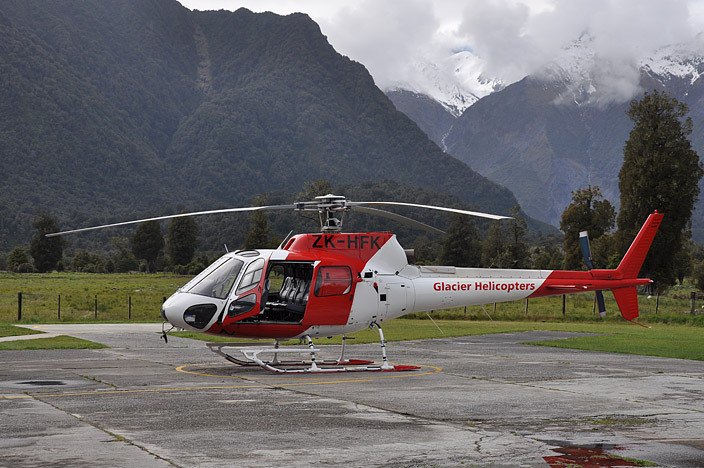 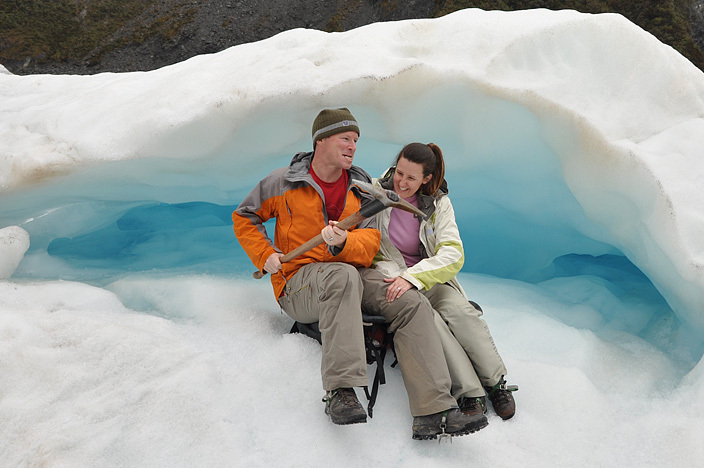 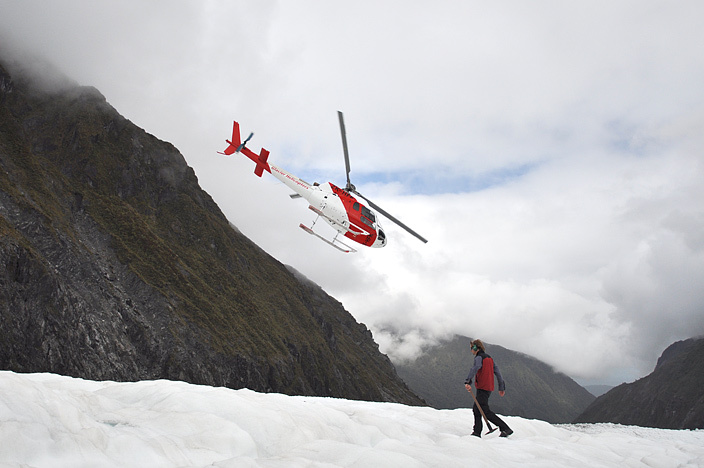 After watching the dull half-day hiking tours being shuffled up and down the dirty bottom section of Franz Josef Glacier the day previous, we decided to spank the VISA card and get ourselves booked on the more exciting heli-hiking option on Fox Glacier. 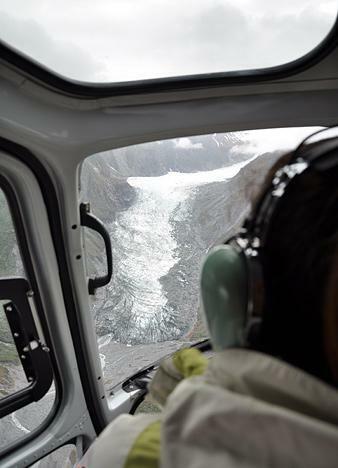 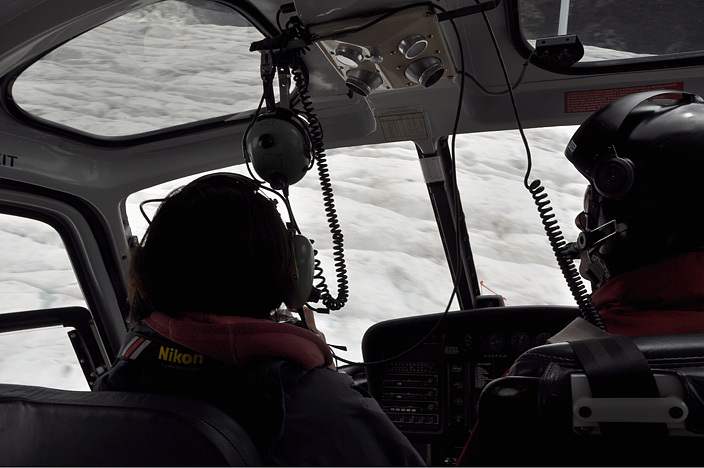 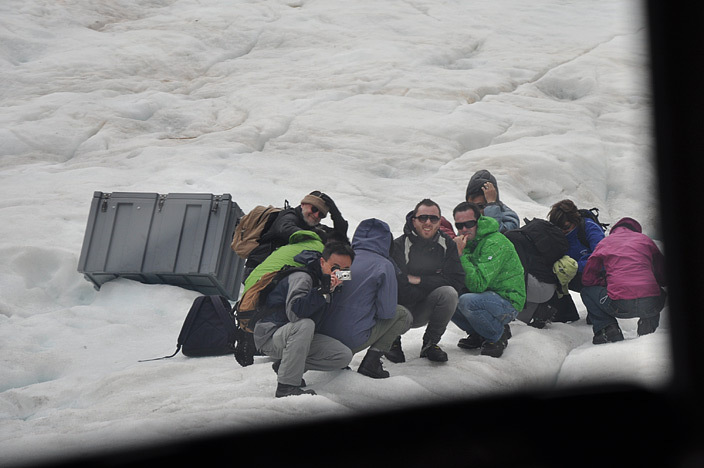 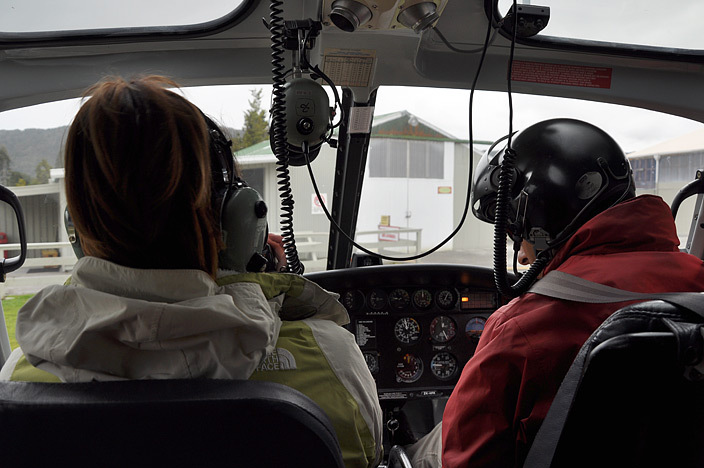 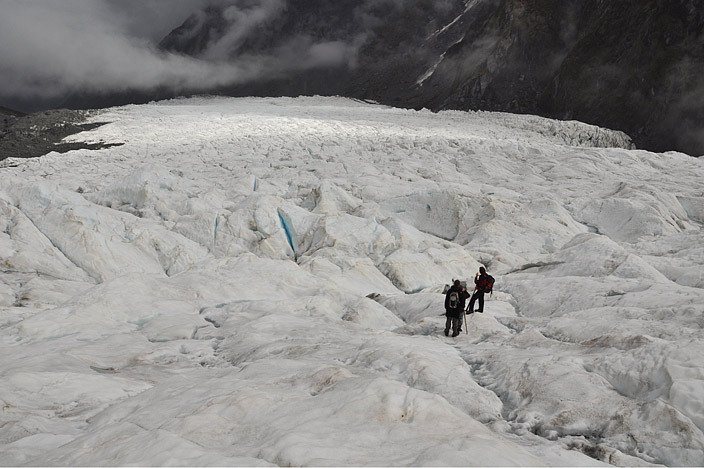 The helicopter ride to the middle section of the glacier was finger licking good and we all jumped out onto the ice feeling like intrepid explorers ready to tackle the gnarly ice walls, crevasses and caves. 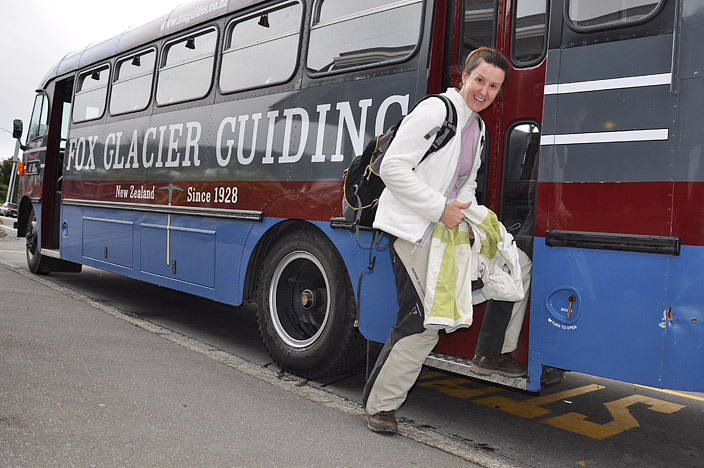 The tour groups are kept small with eight people to one guide. 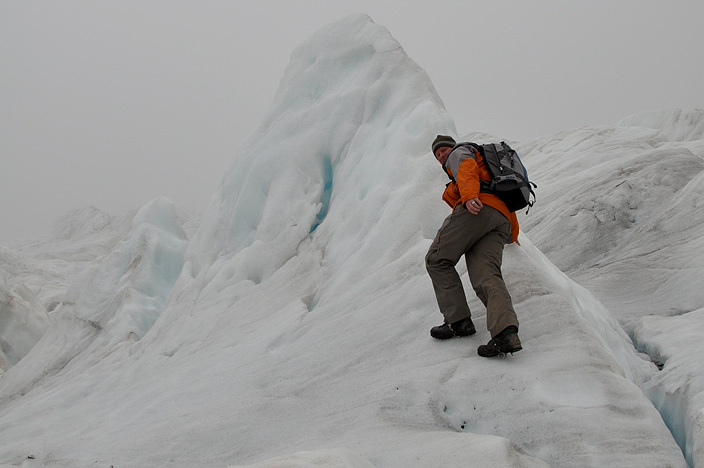 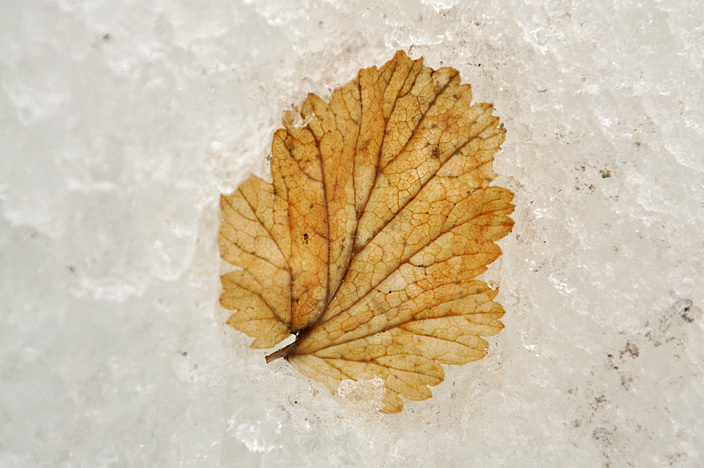 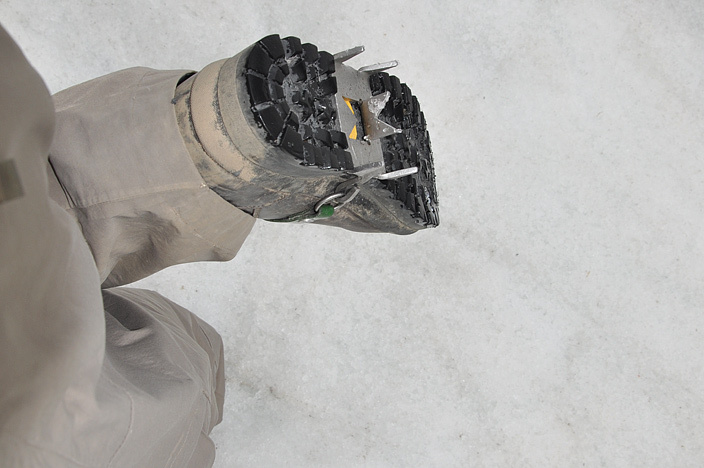 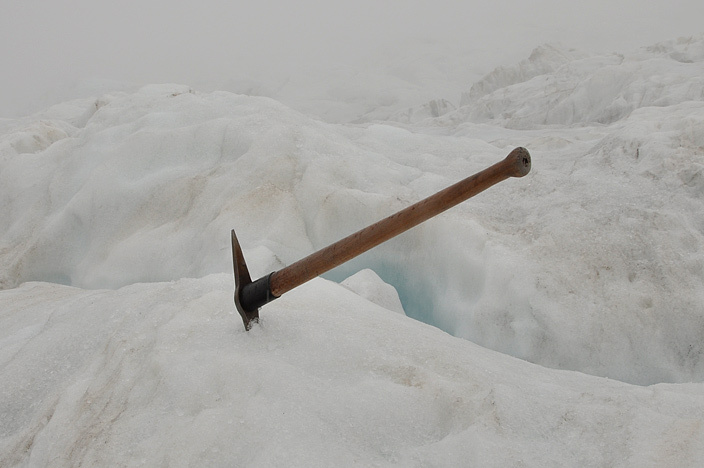 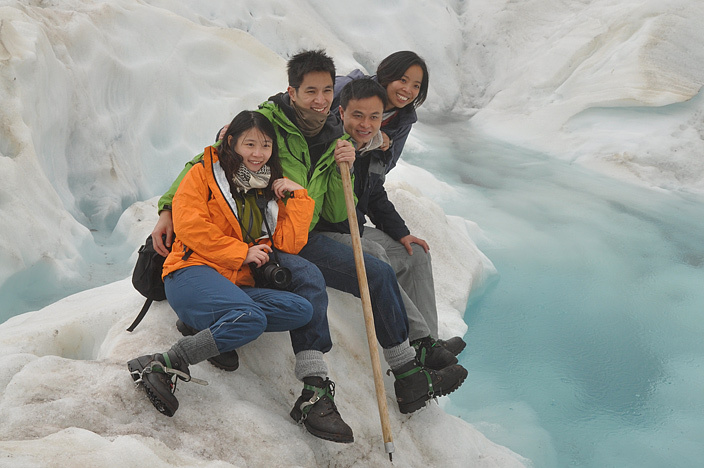 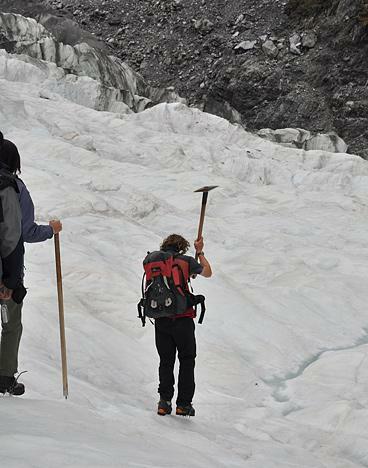 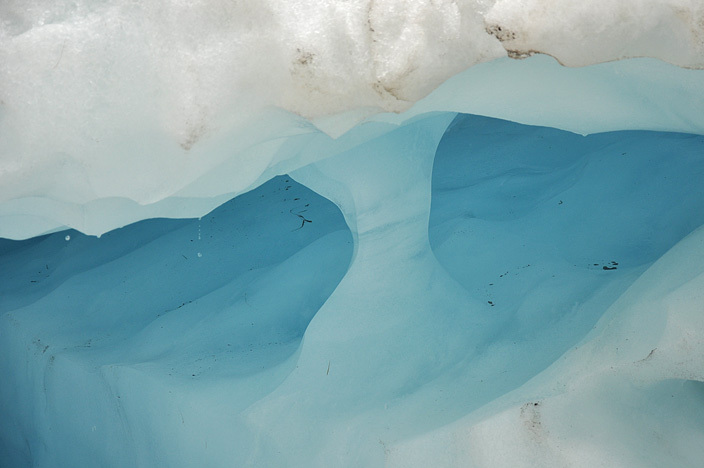 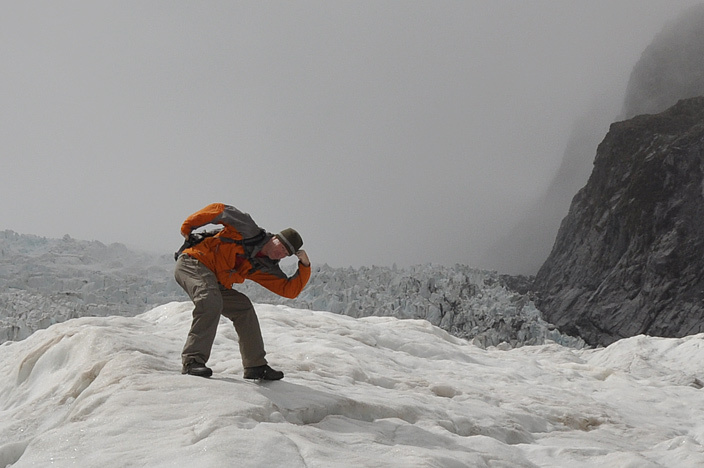 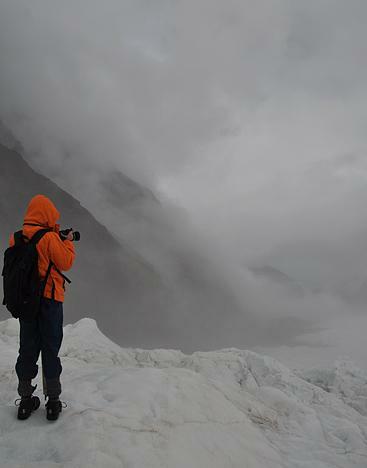 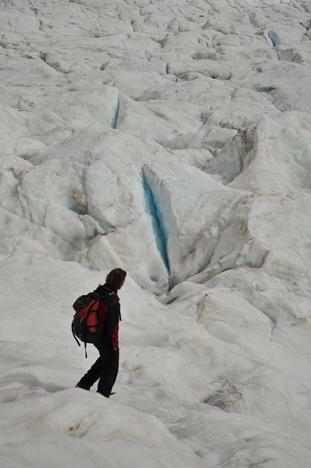 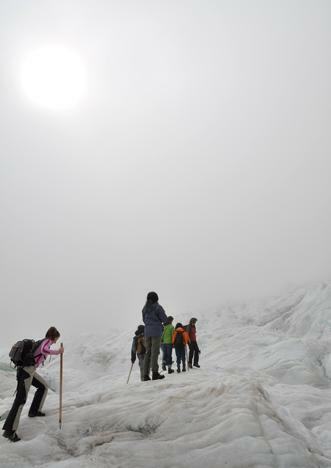 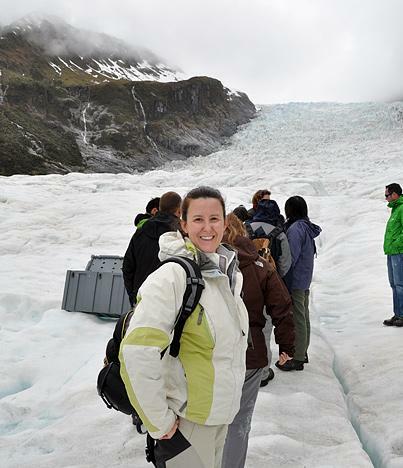 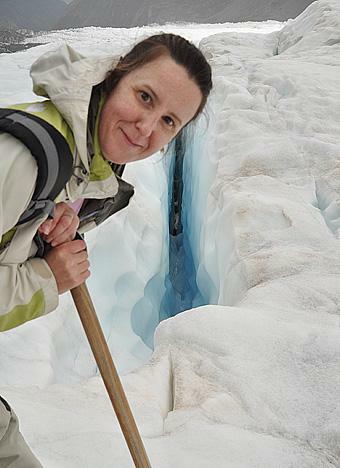 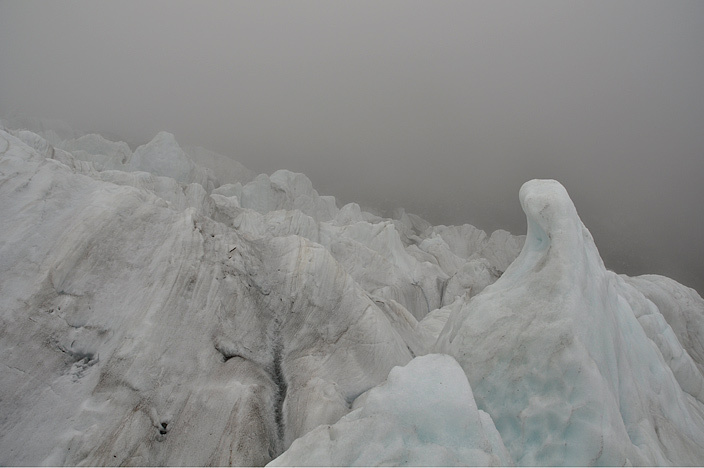 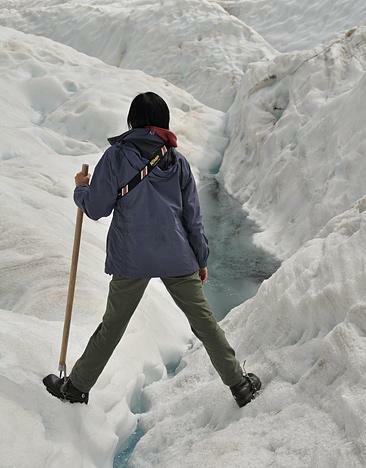 After fitting our mini-crampons, we headed up the glacier for a few hours to see what we could find. 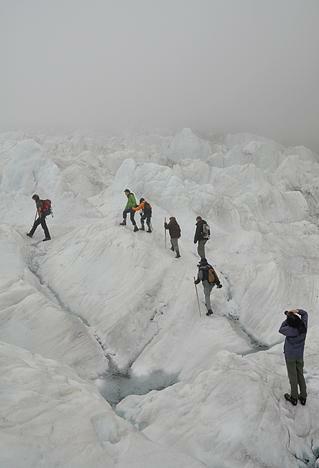 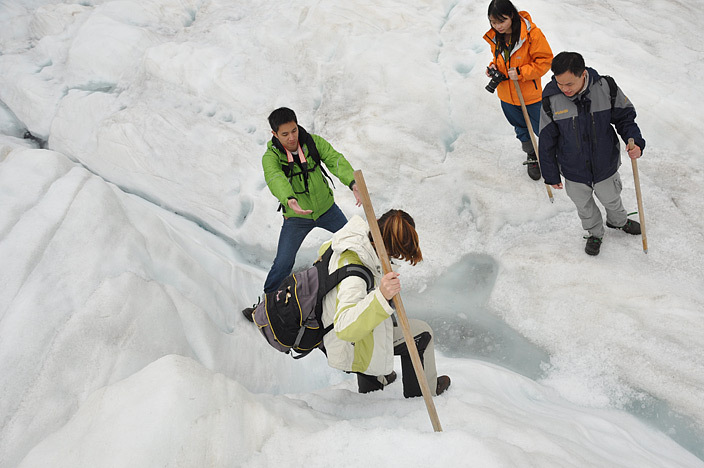 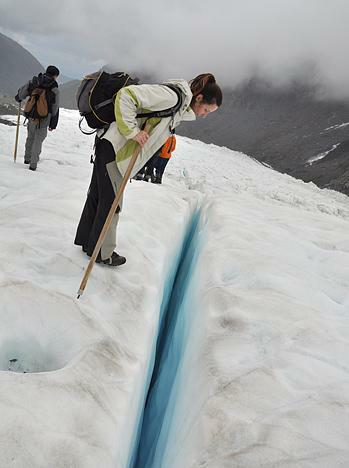 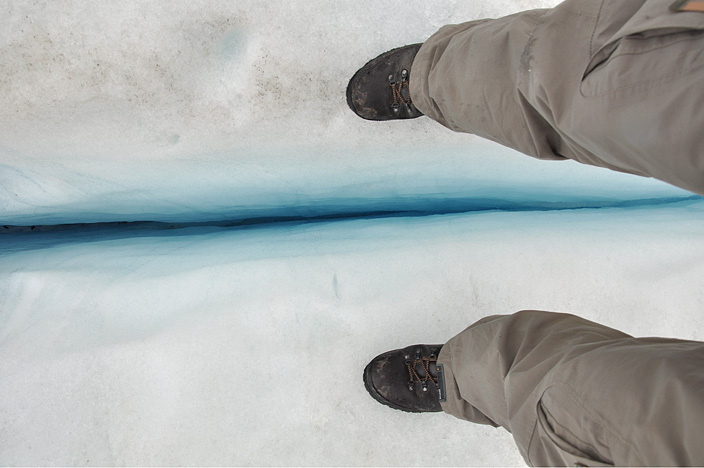 The glacier moves downhill at a couple of metres per day so glacier features and exposed ice sections can be different on each trip. 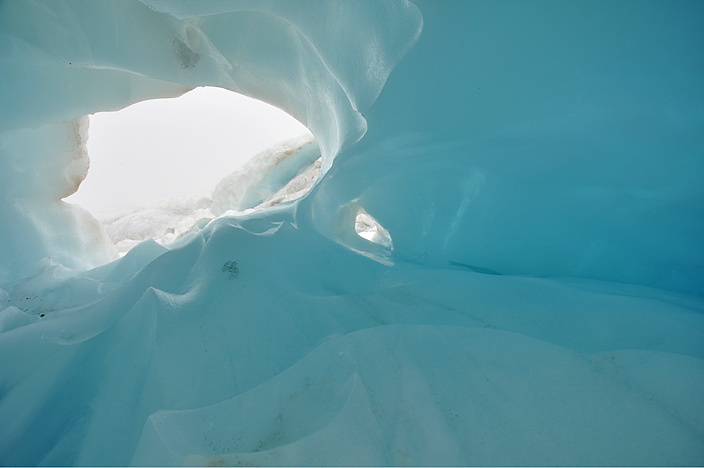 We didn't get to see any of the unbelievable blue walk-through ice caves as displayed on the trip brochure (on reflection, it was a bit of a sales tease), but we did see some cool stuff. 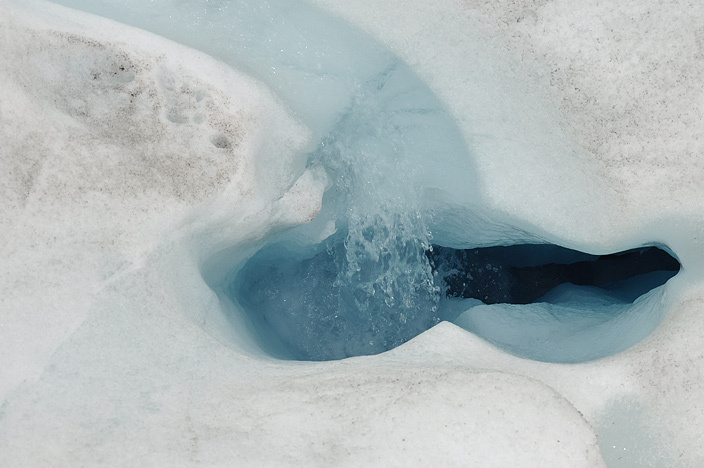 I was hoping to hear some cracking of ice and rumbles of glacier movement, but the frozen ground was largely silent with only the meltwater trickling in the background. 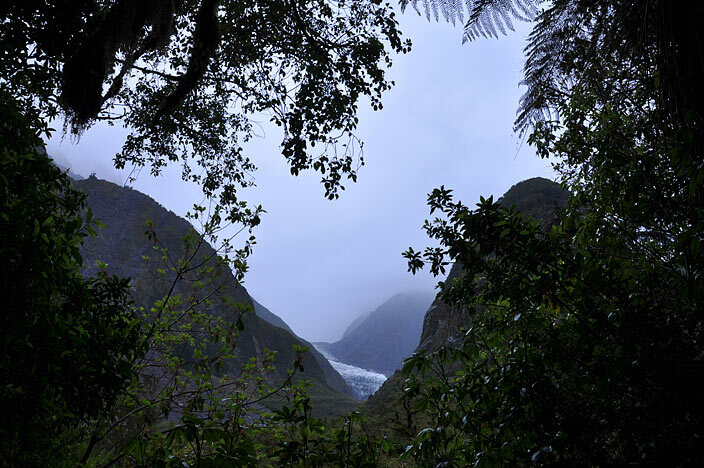 It was gorgeously peaceful up there though and this added to the wilderness feeling. 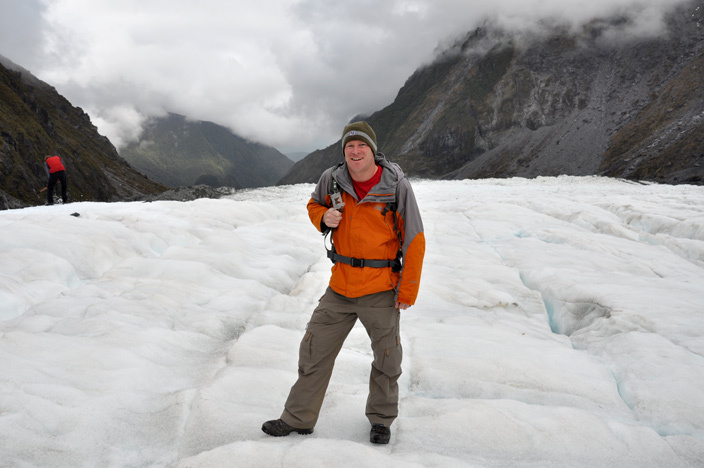 A highly enjoyable half-day out and very much worth the extra cash.